Please click here to find practitioners working near you. Book an appointment at the BMAS London Teaching Clinic. The British Medical Acupuncture Society is a registered charity established to stimulate and promote the use and scientific understanding of acupuncture within medicine for the public benefit. We seek to enhance the education and training of suitably qualified practitioners, and to promote high standards of working practices in acupuncture. Members are regulated healthcare professionals who practice acupuncture within the scope of their professional practice. Find out more about joining the BMAS by clicking here. We are the internationally recognised gold standard in Western Medical Acupuncture (WMA) education and training with the only peer reviewed scientific journal dedicated to the field - Acupuncture in Medicine (Impact Factor 2.275). Acupuncture in Medicine is the official journal of the BMAS, and members can access full content of the journal via the Members' Area of this website. Or click here for limited access. The BMAS Blog - the journal blog developed under BMJ, has evolved to become the BMAS Blog. 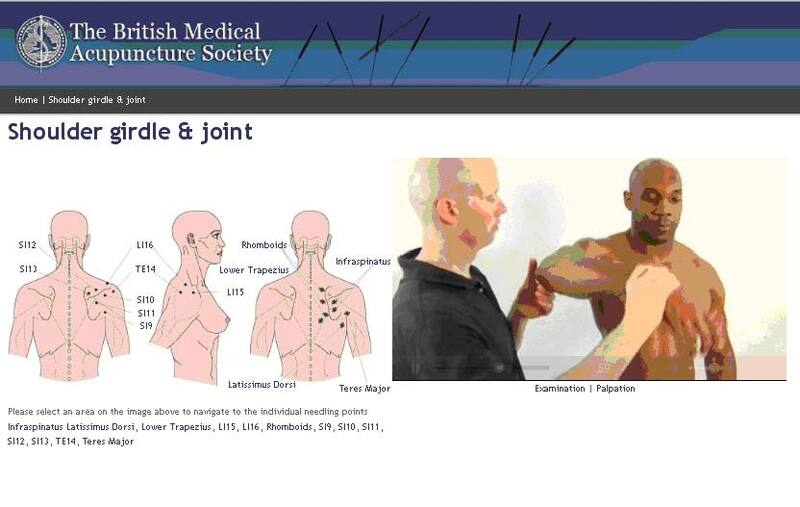 BMAS Points Resource is a series of video demonstrations of examination and needling techniques presented together with diagrams and notes. Click on the part of the body you are treating to see examination techniques, then click on the point illustrated to see how to needle it. Contains guidance notes, explanations and diagrams. A valuable resource for practitioners at all levels of experience. Available to members only - log in and click on BMAS Points to view. Acupuncture treatment is available at our London Teaching Clinic and our Northwich Teaching Clinic. Acupuncture can help in a variety of conditions: click here for more details. Click here for a brief description of the neurophysiology behind acupuncture from Thomas Lundeberg – recorded at the British Medical Acupuncture Society Physiology Day in December 2013.